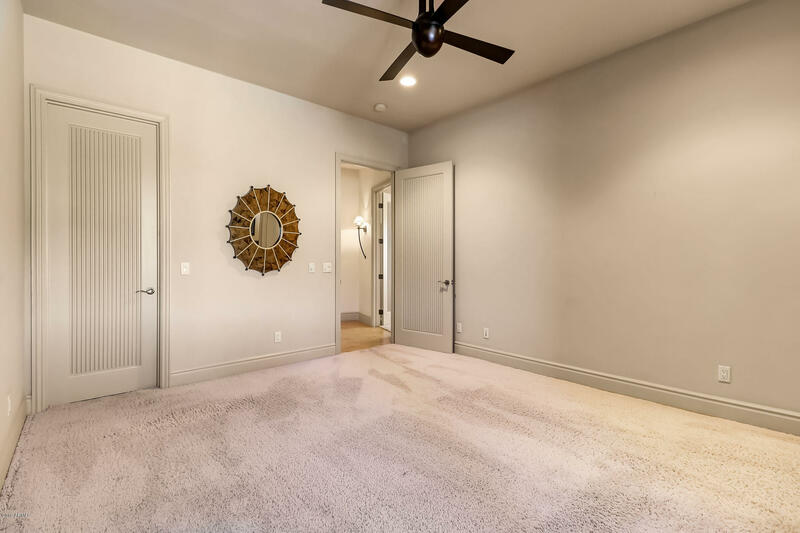 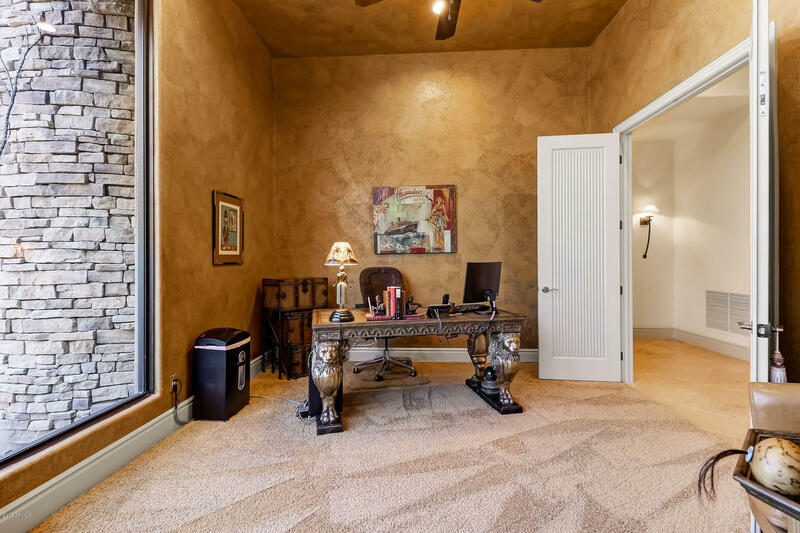 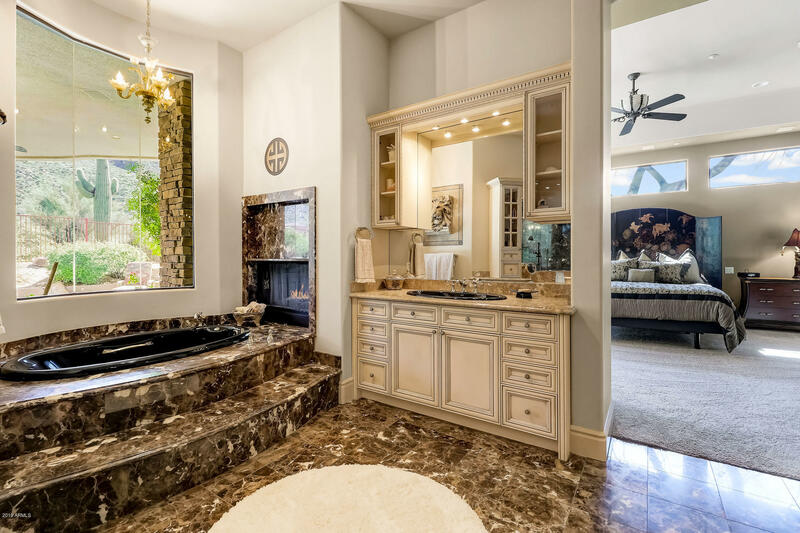 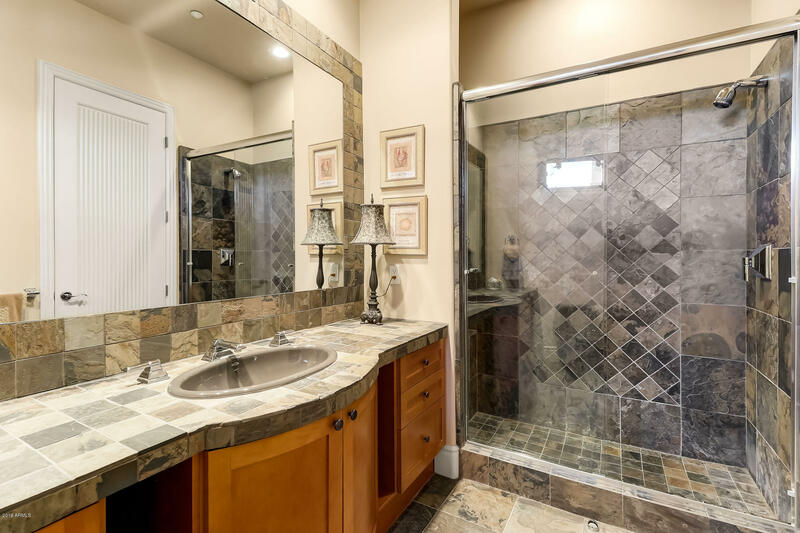 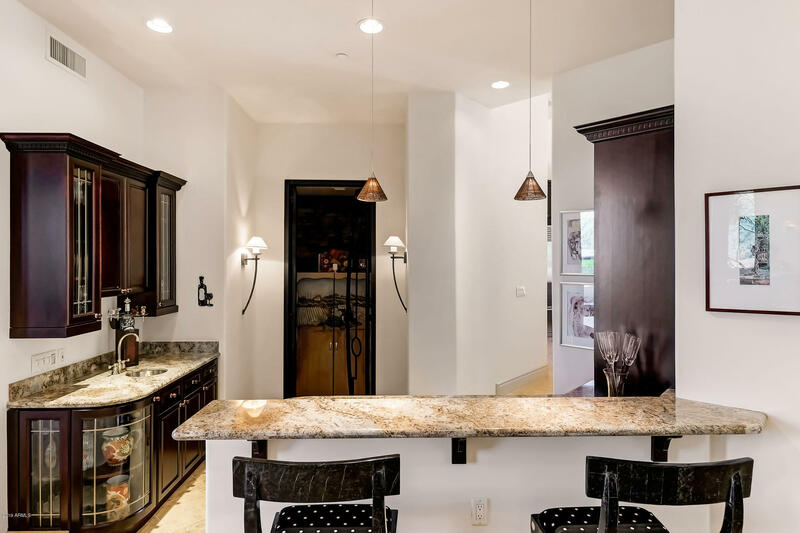 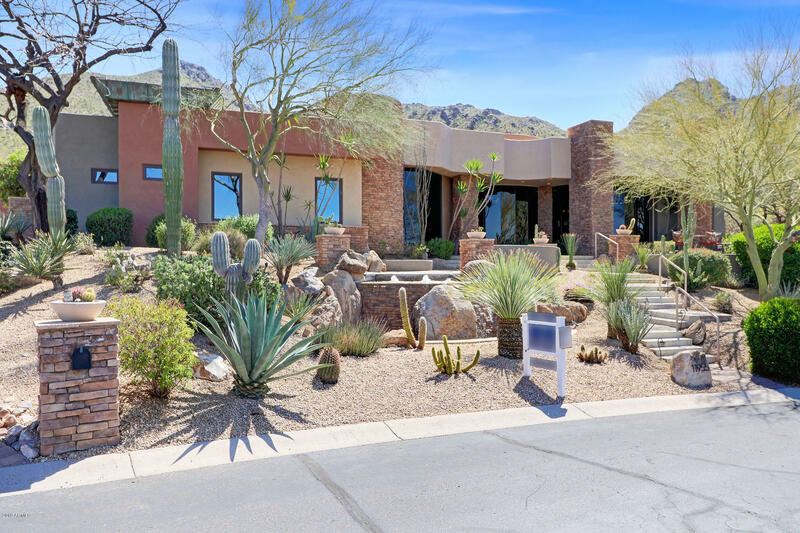 Exceptional and elegant describe this highly detailed custom home in Troon Highlands Estates with superb mountain views from both the front and back. 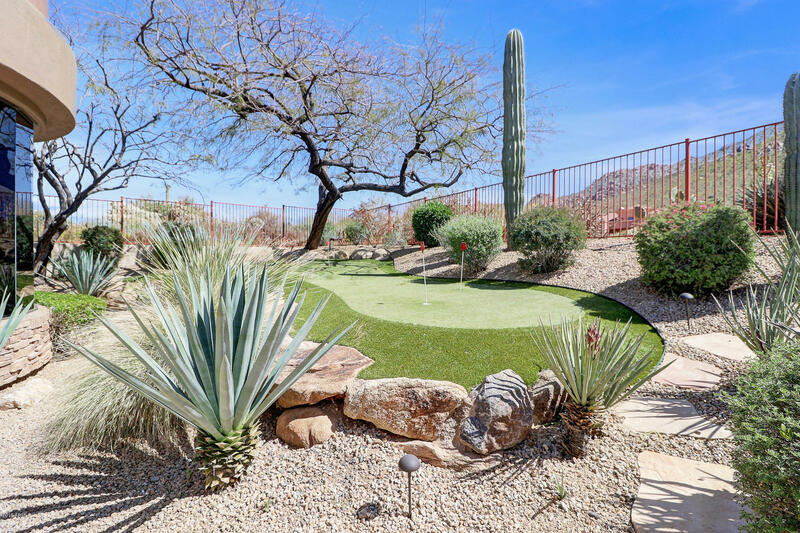 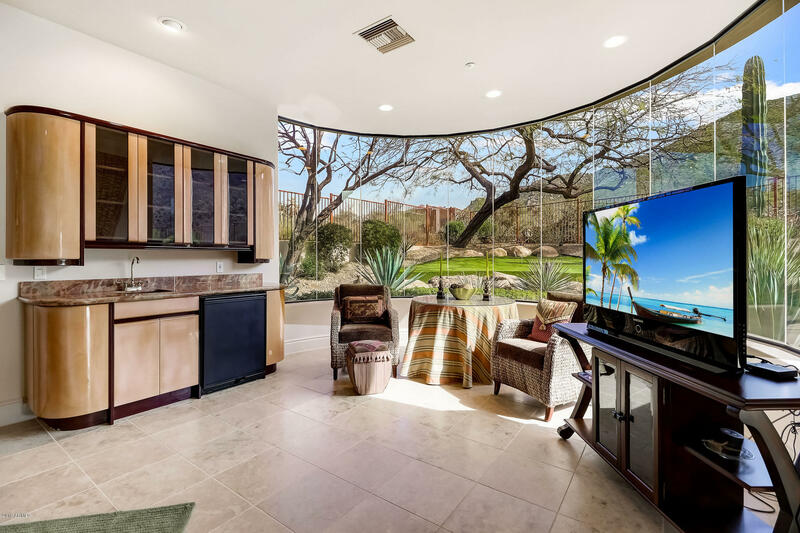 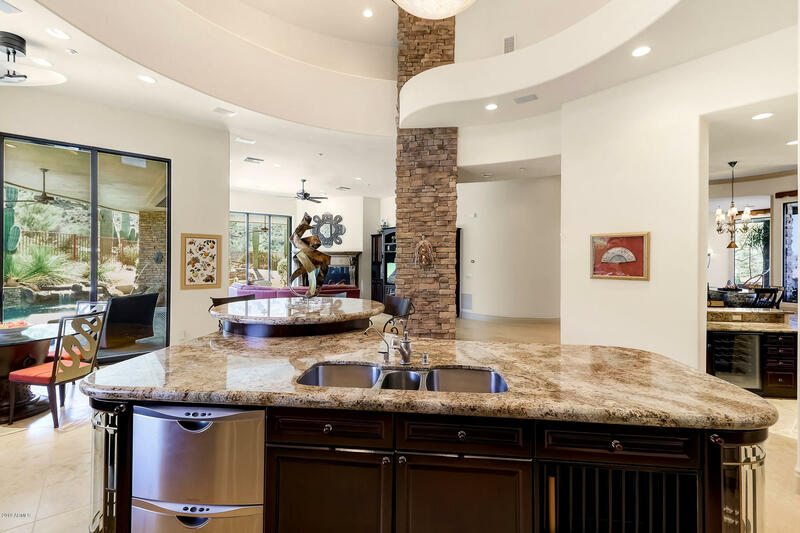 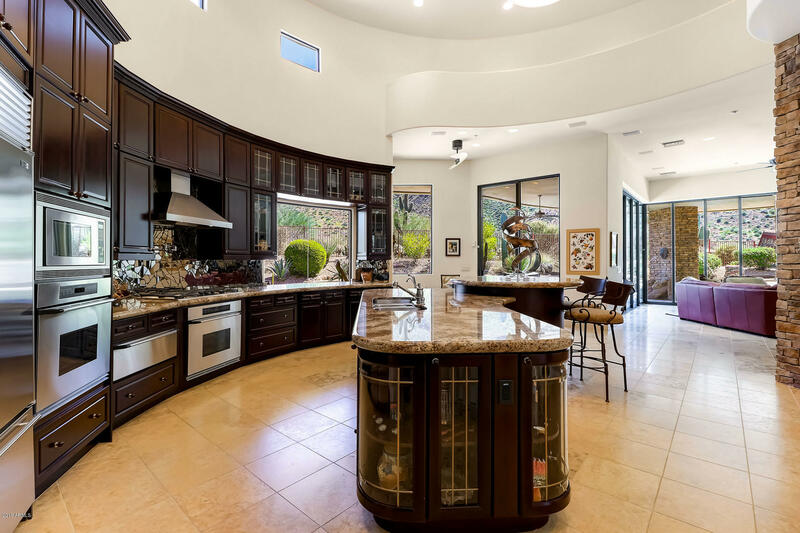 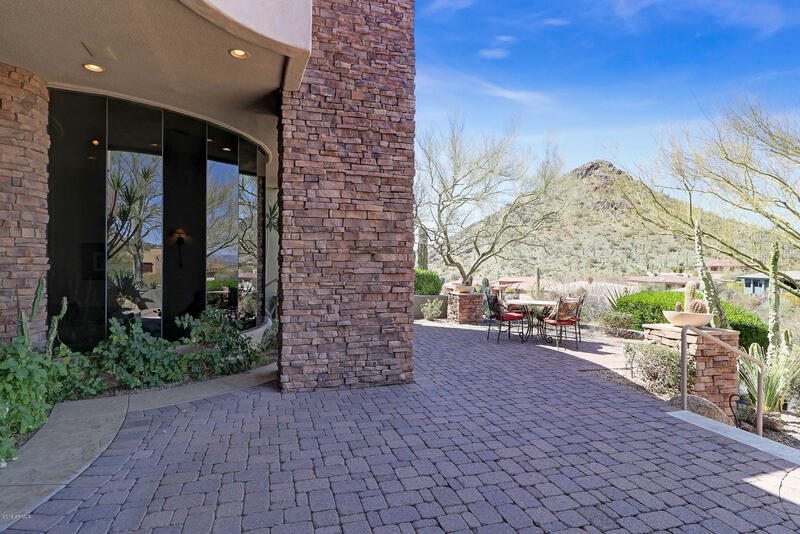 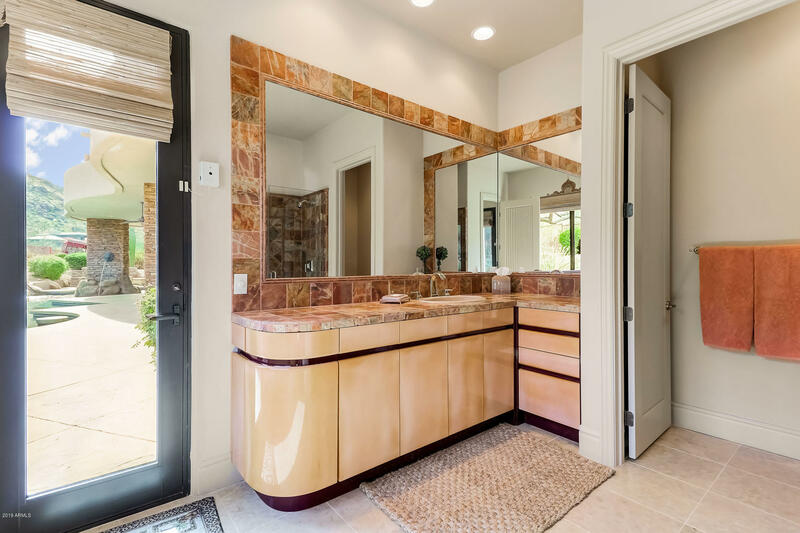 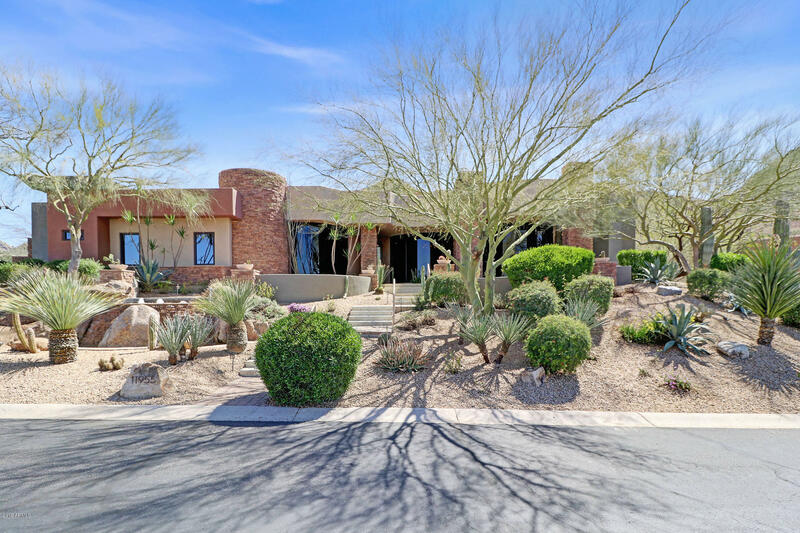 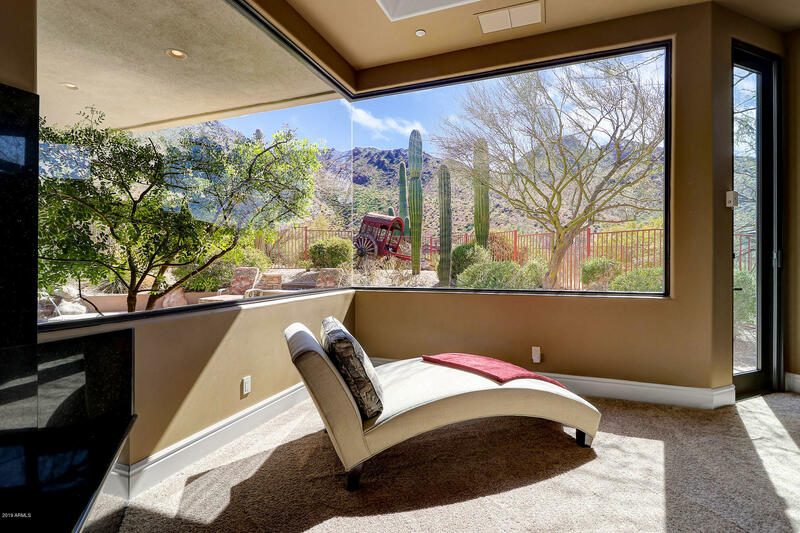 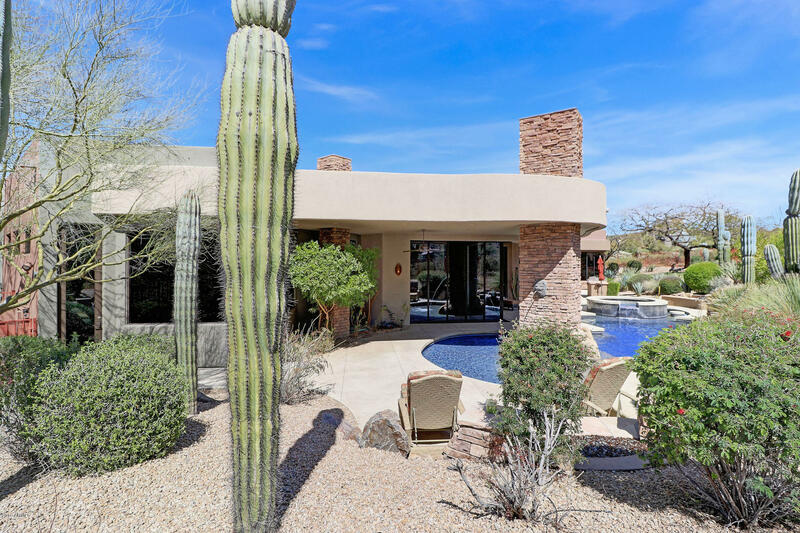  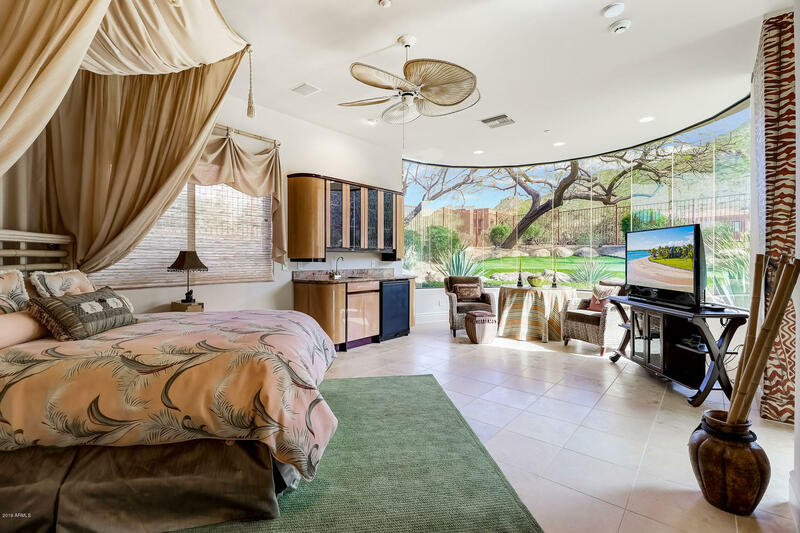 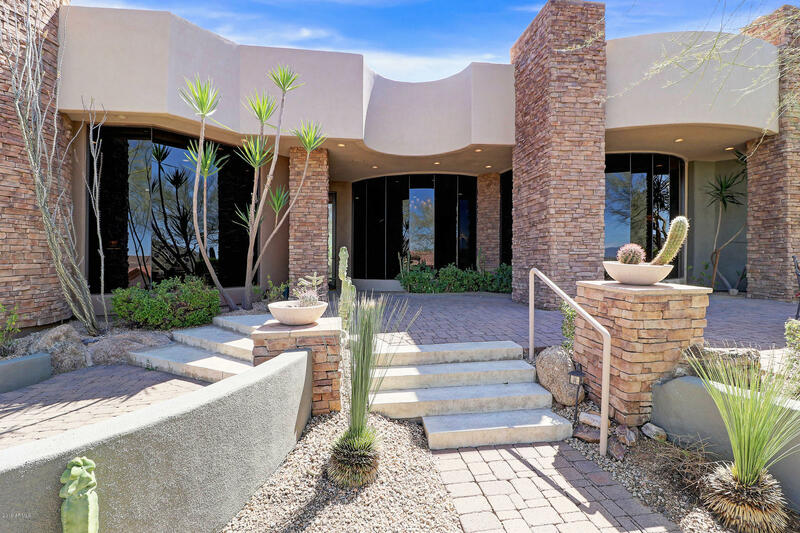 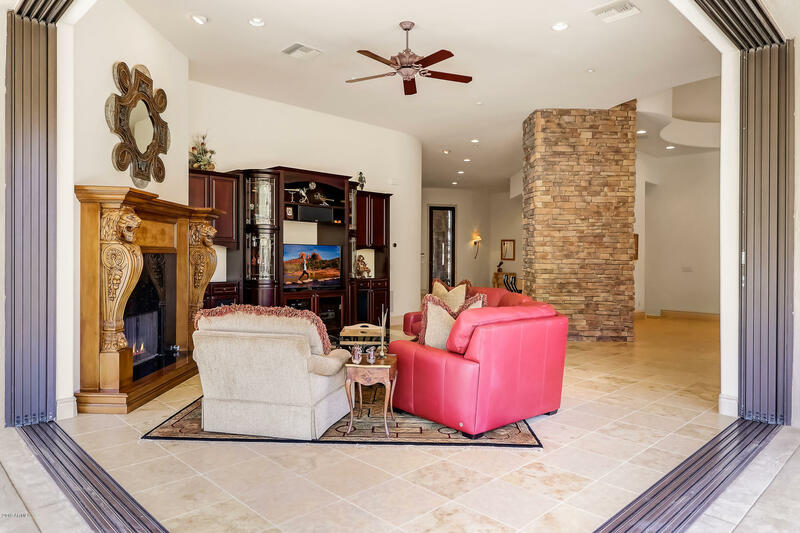 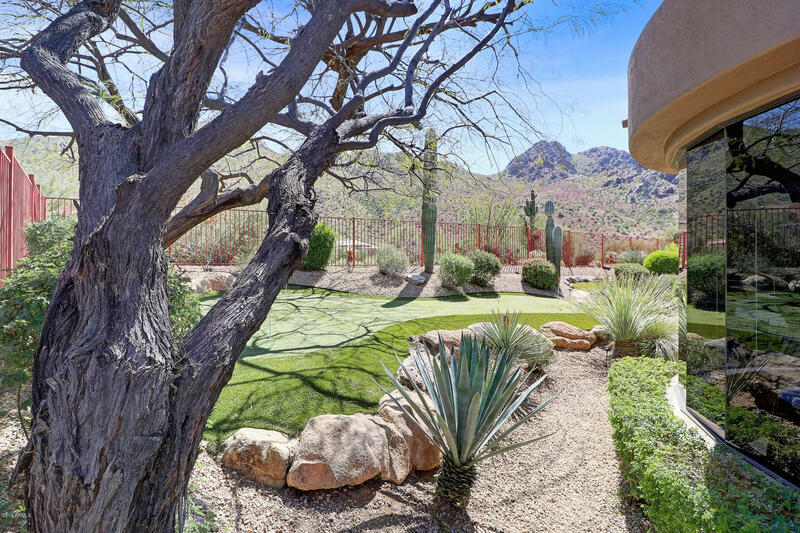 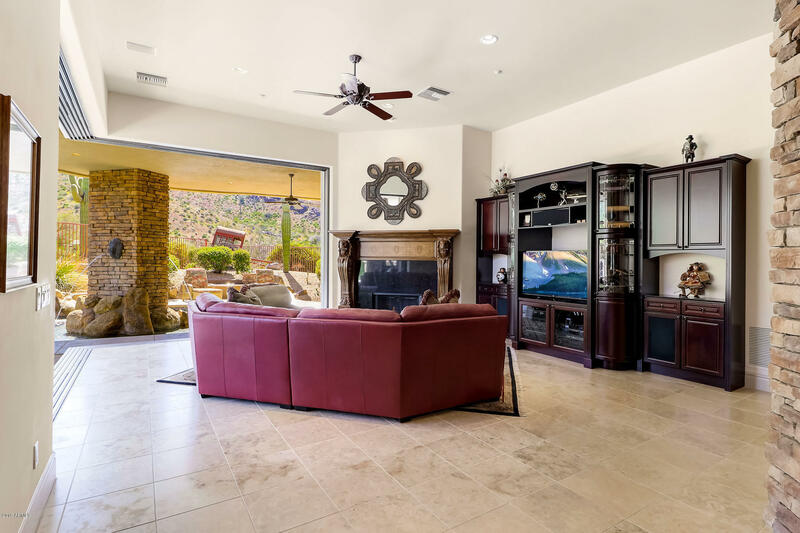 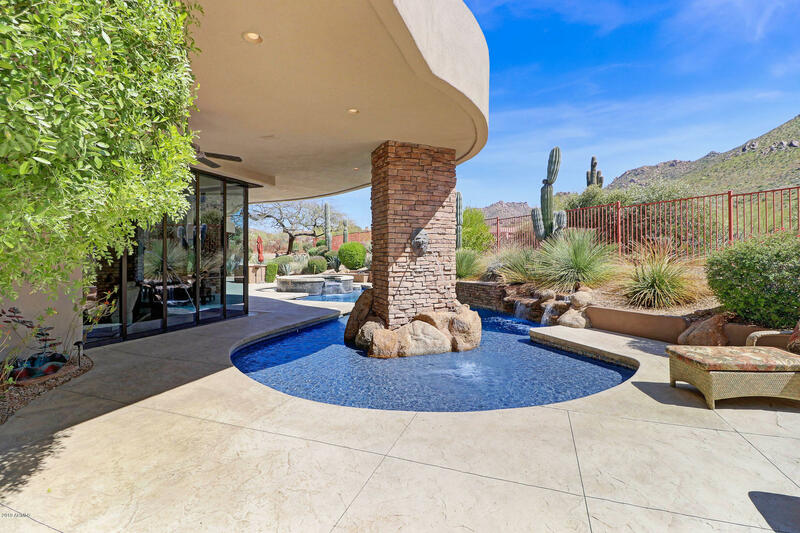 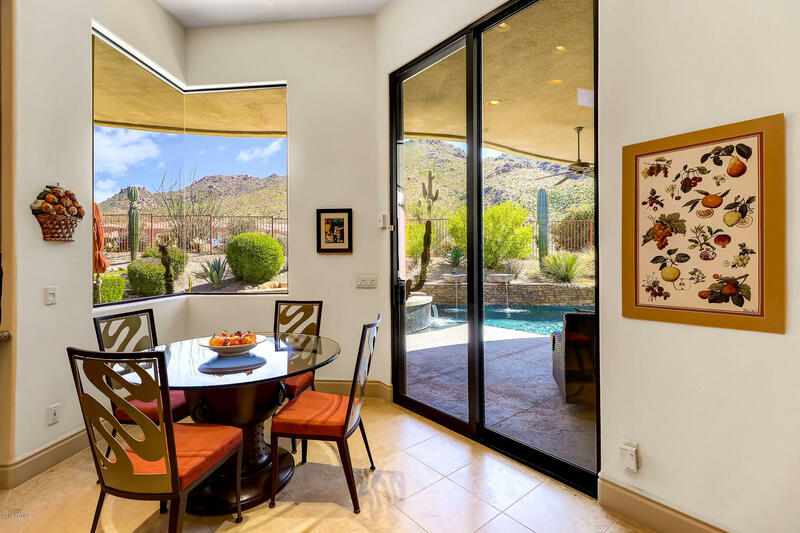 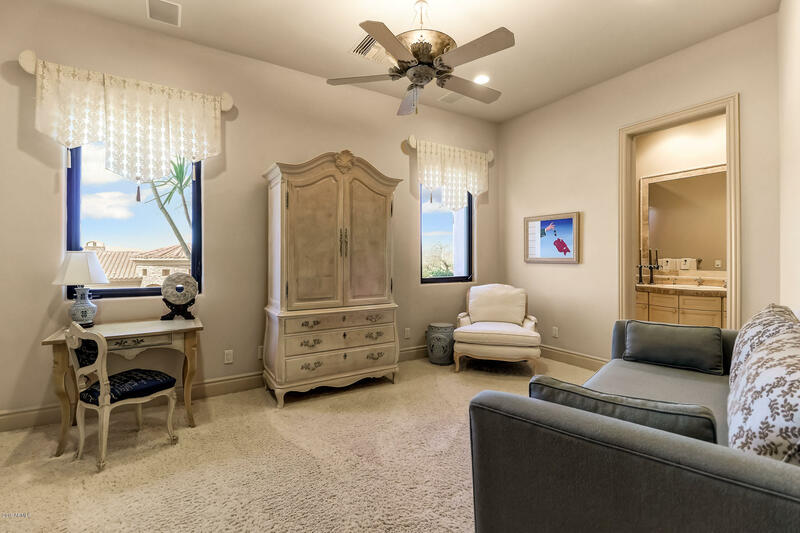 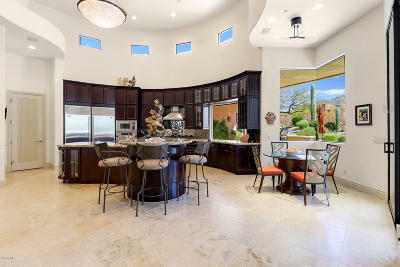 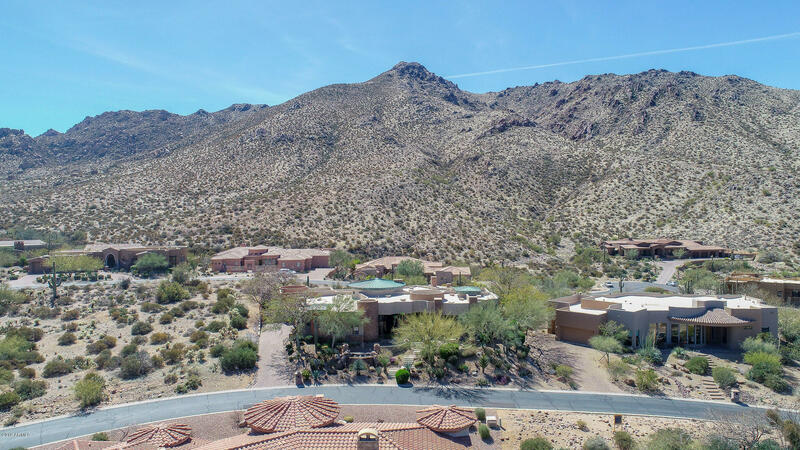 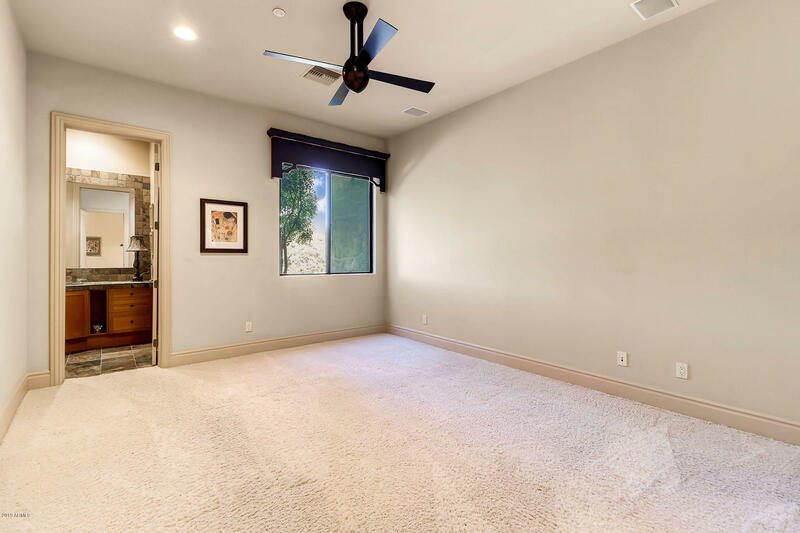 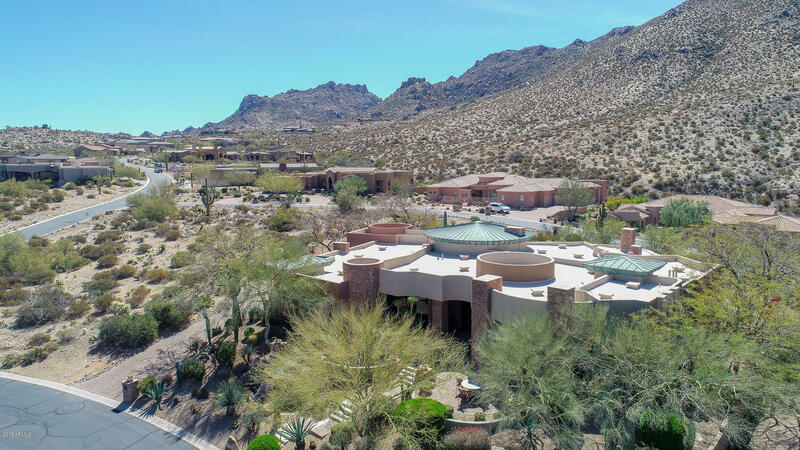 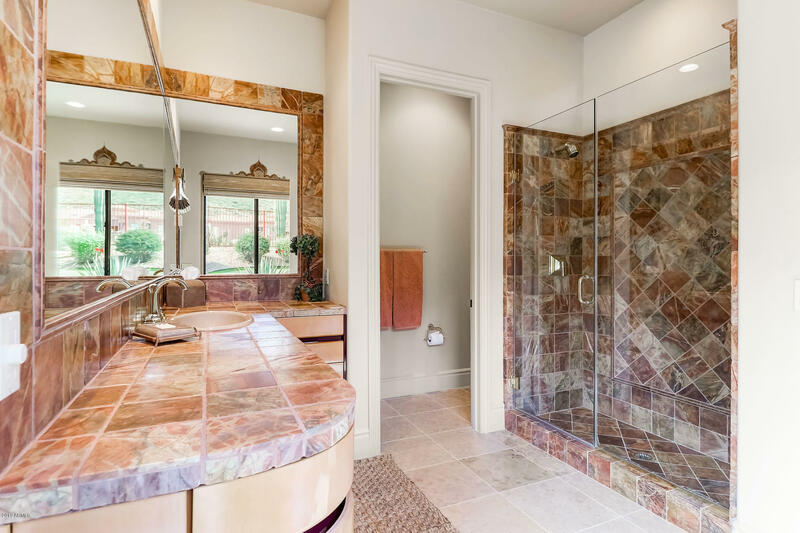 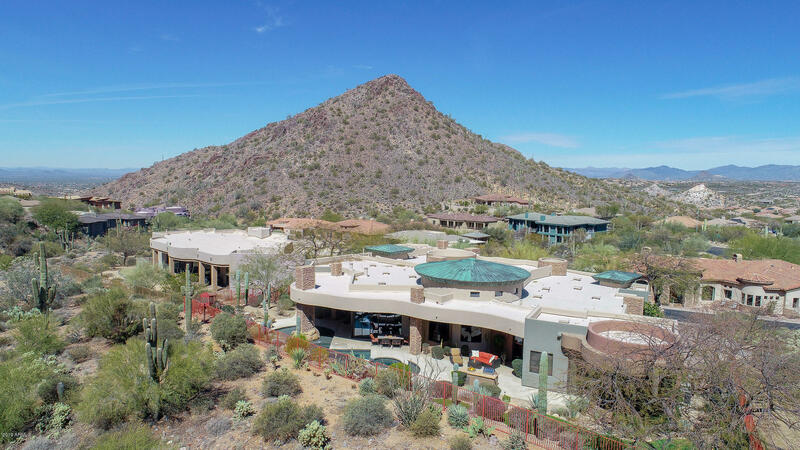 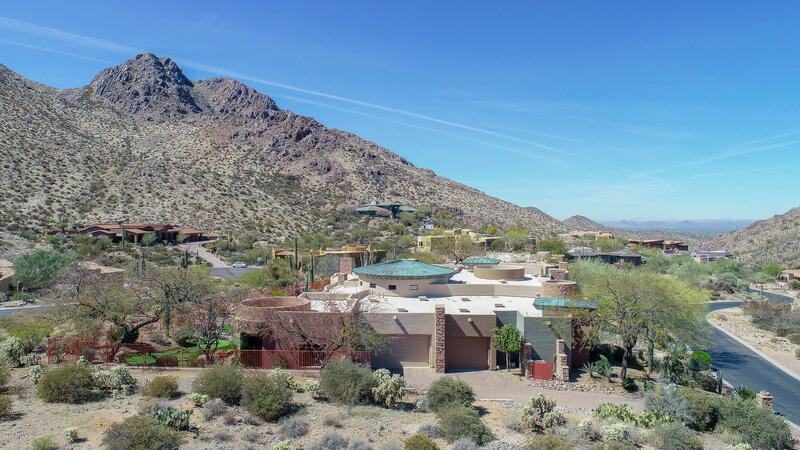 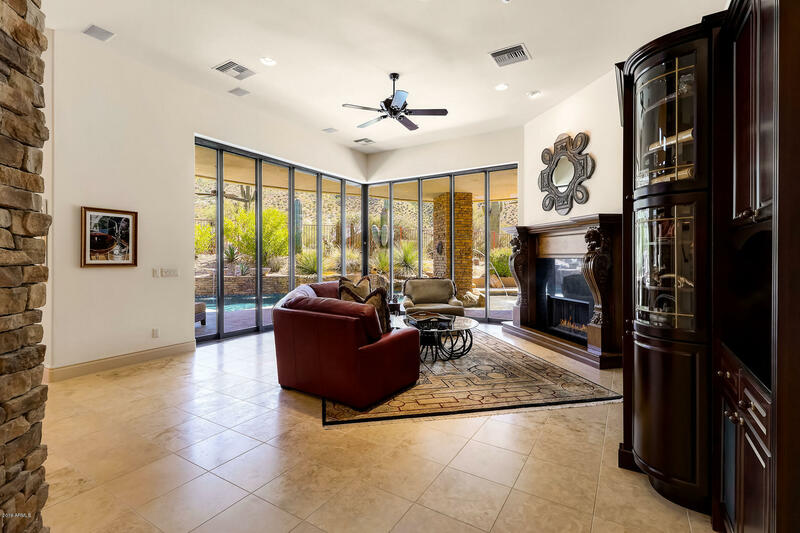 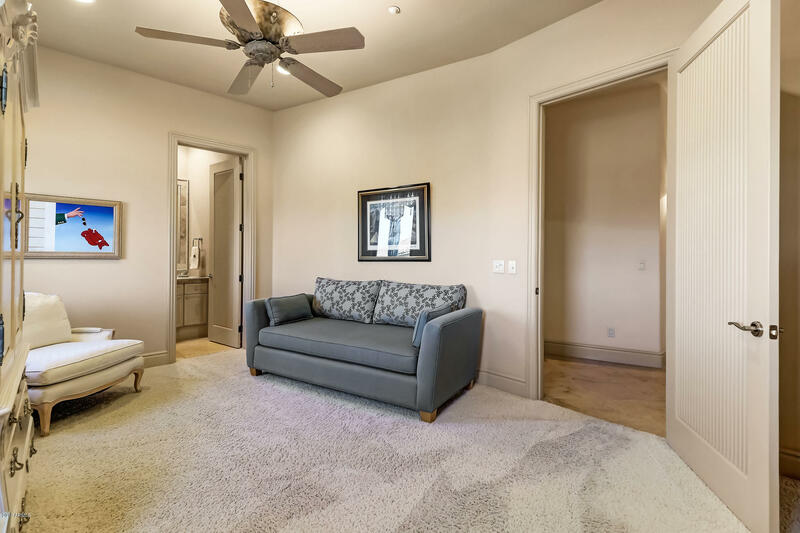 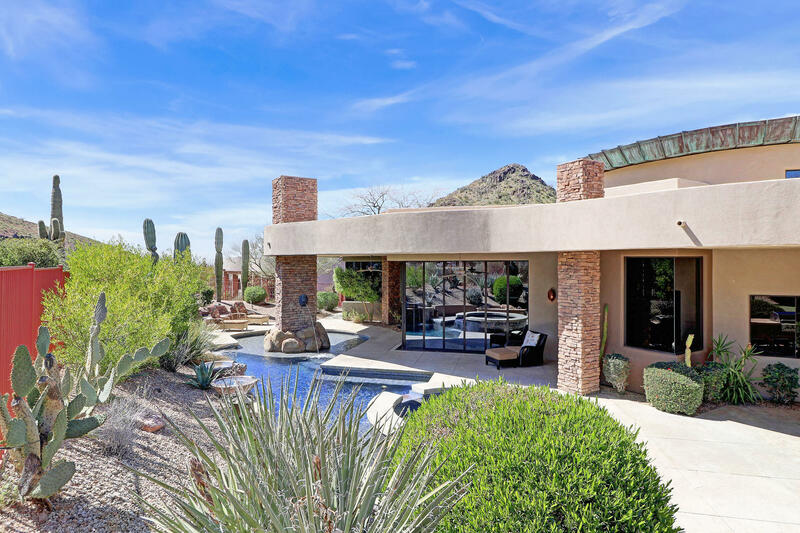 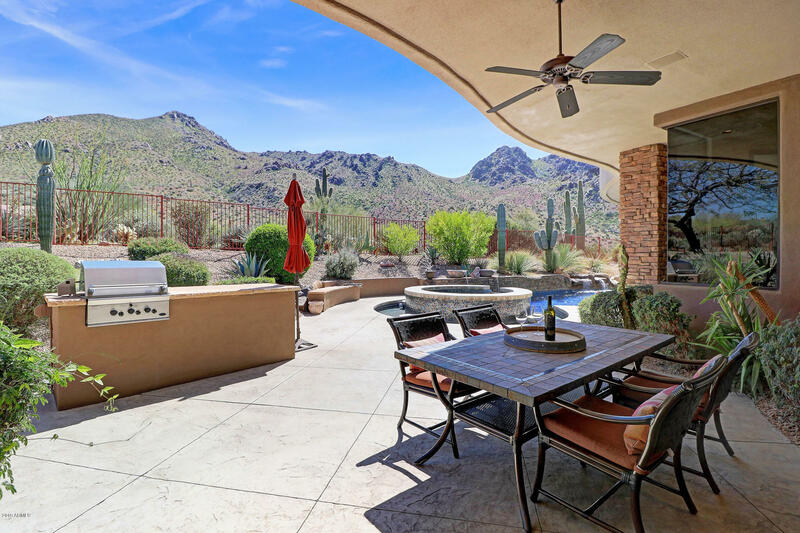 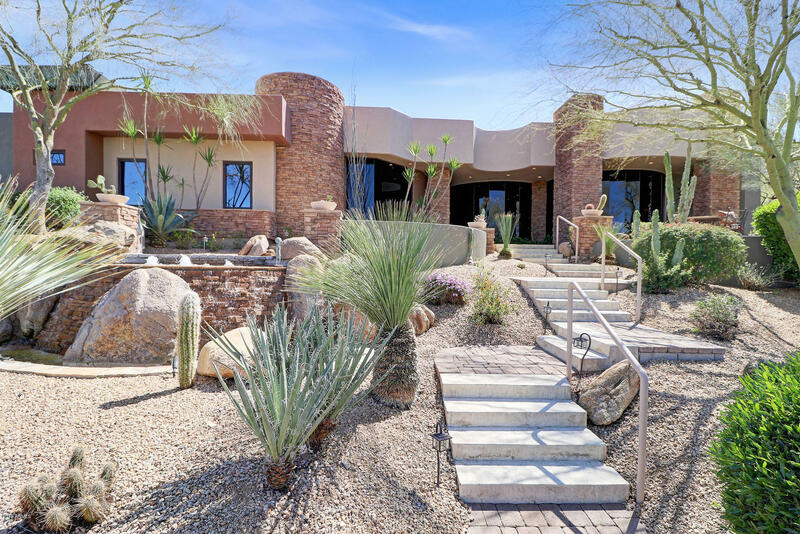 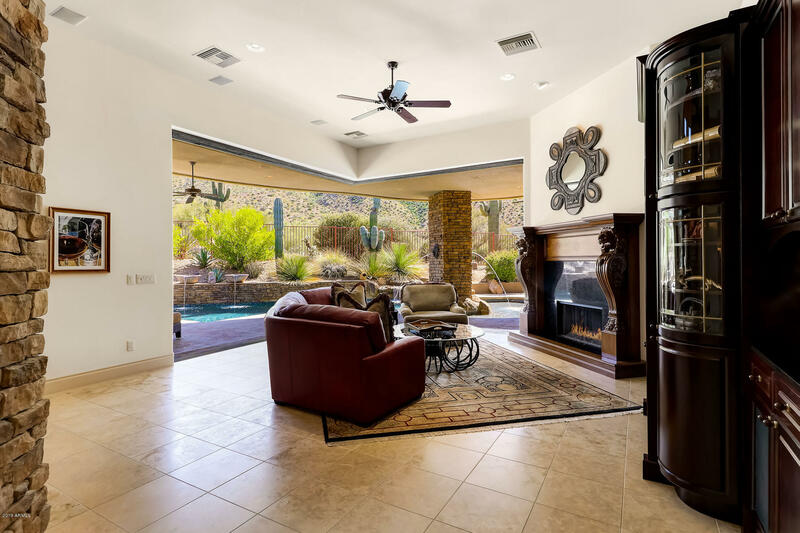 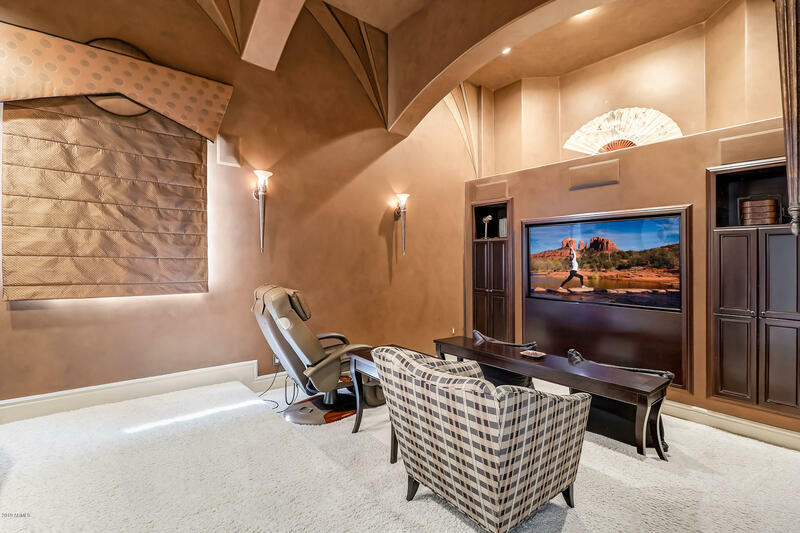 Located on the former Street of Dreams and winner of the Best in Show, this soft contemporary home embraces its majestic setting with large window expanses framing up close mountain views of the famous McDowell Mountains. 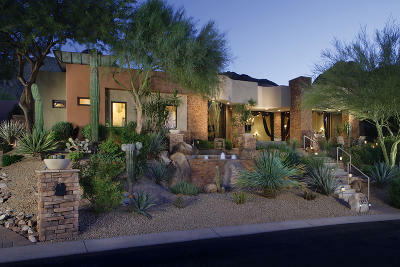 The perfectly sized yard features a truly unique setting, perfect for family and friends, with the pool extending under the covered patio with an in water lounge area, elevated spa with in water seating surround, built in barbecue, three-hole putting green with tee-box, designed desert landscape, and 90-degree angle retractable glass doors bringing the outside experience in. 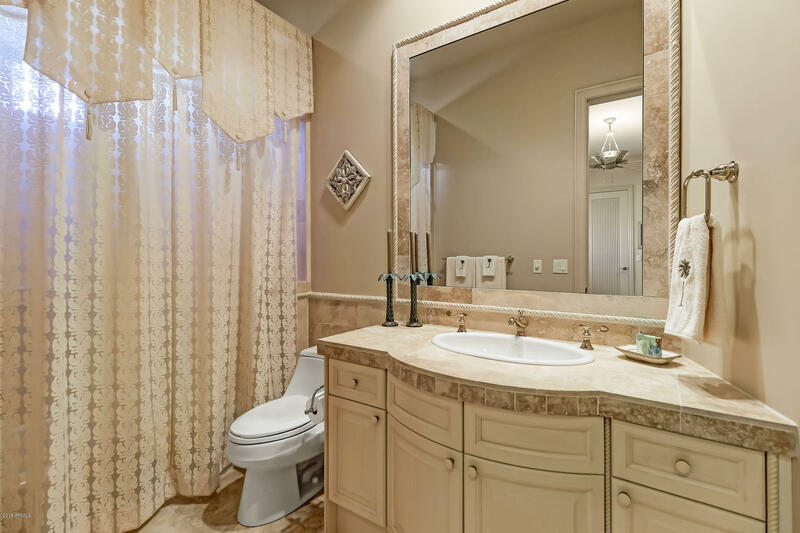 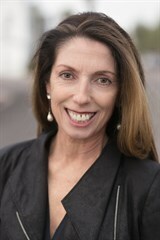 See additional remarks! 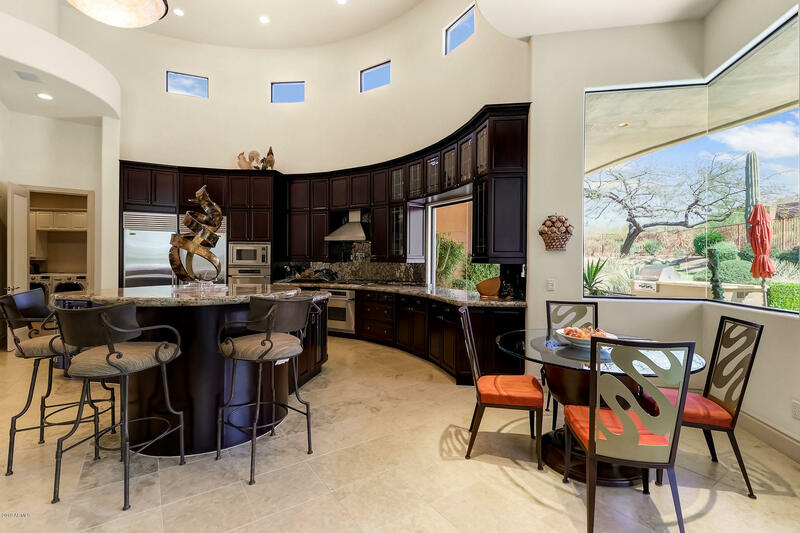 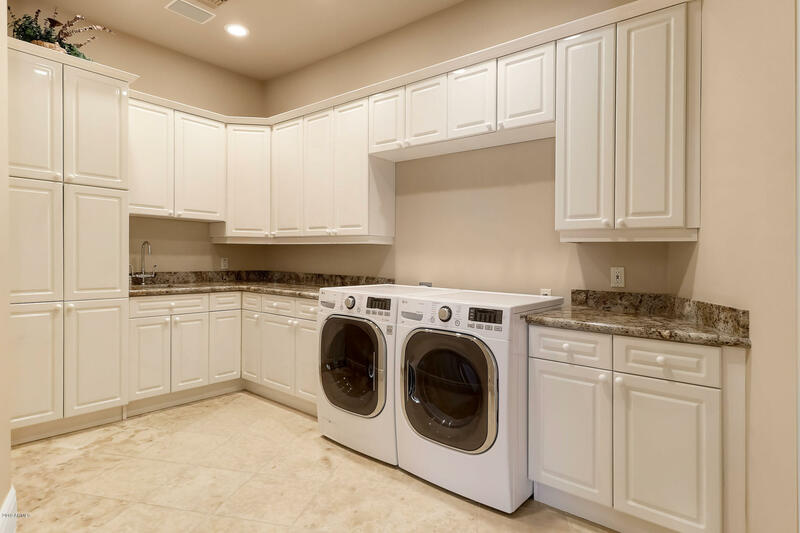 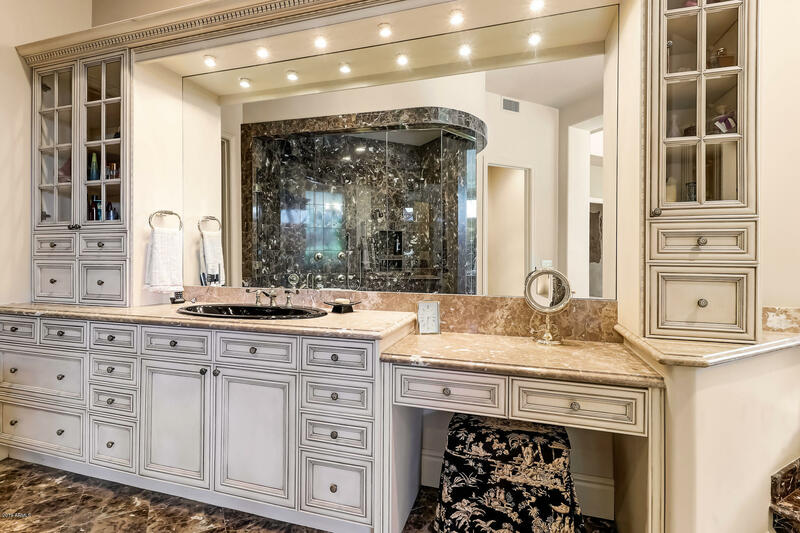 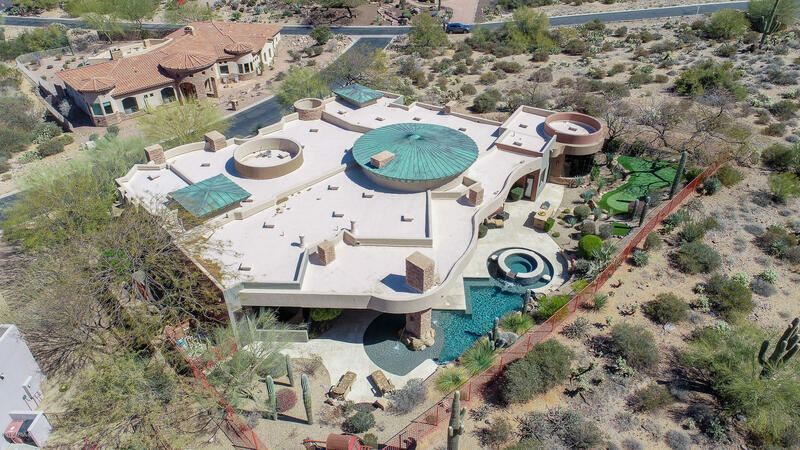 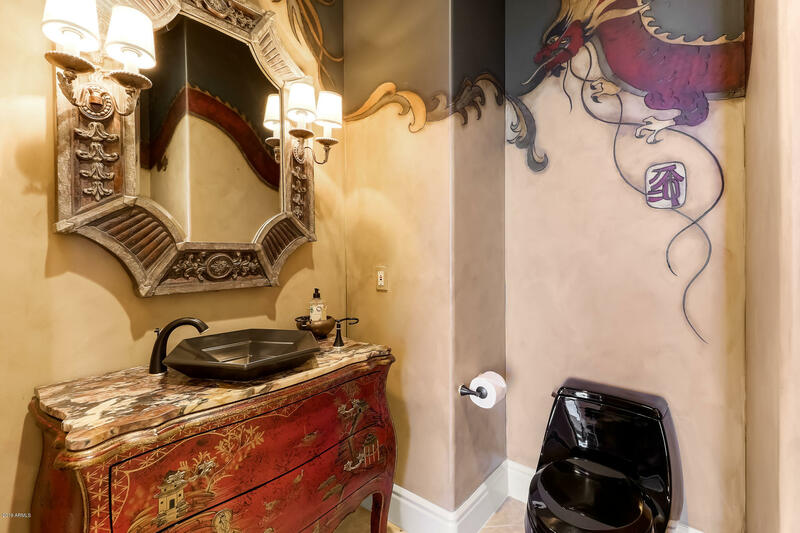 The interior circular themed layout includes a one-of-a-kind kitchen, executive office, home theatre, luxurious split master suite, two additional en-suite bedrooms plus separate guest casita perfect for visiting guests. 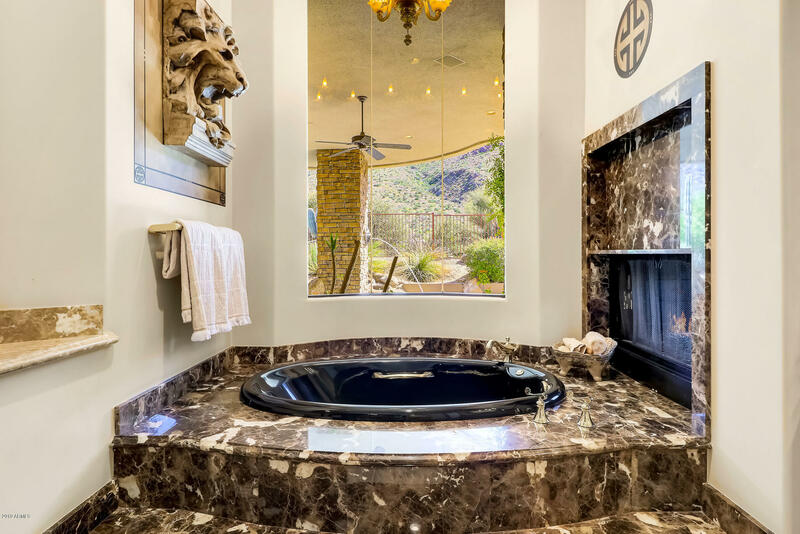 The private, quiet setting surrounded by mountains allows for spectacular stargazing. 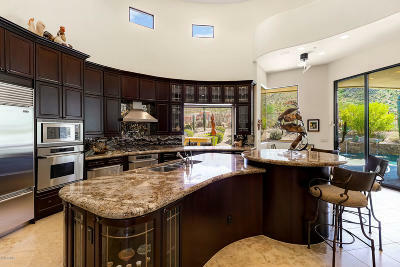 Other features include a temperature controlled three car garage, ample storage throughout the home, butted glass curved entry windows and curved glass front door (almost 11' tall), travertine floors, granite and marble accents throughout, wet bar with an iron gated brick walled wine closet, copper and stacked stone exterior accents, and dual top of the line stainless steel appliances including a gas cook top. 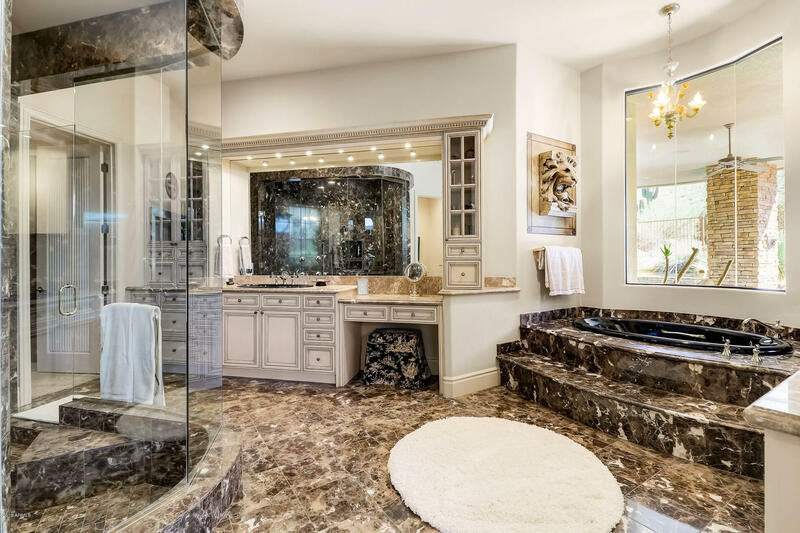 This home will take your breath away!